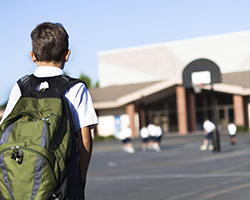 A new national research study explores the effectiveness of strategies to reduce bullying in schools. Schools are invited to participate in the study and find out what works and how schools can support student learning and wellbeing. For further information about the study and to express interest in participating please contact Ken Rigby or phone 08 8302 1371. 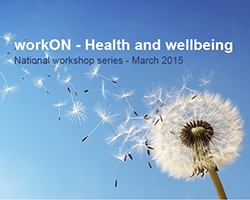 A series of WorkON health and wellbeing workshops will be held around Australia in March. 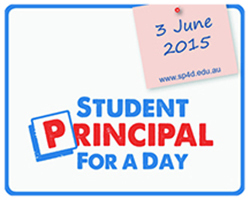 The Principals Australia Institute workshops offer whole-school strategies and tools to principals to support their own health and wellbeing and that of their staff and students. Australian principals are invited to contribute to an important contemporary study of leadership and leadership development. The 7 System Study, led by Professor Dr Alma Harris and Dr Michelle Suzette Jones, explores Leadership Development and Leadership Practice in Differentially Performing Education Systems. Open to principals only, a survey is being conducted to gain their views on leadership development and to help shape future leadership. To learn more and take part, download the questionnaire. The Institute is pleased to be working with Sherpa Kids Australia as our major sponsor for Student Principal for a Day (sp4d) in 2015. The event will be held on 3 June. As a leading provider of out of school hours care (OSHC) and vacation care services through franchises around Australia, Sherpa Kids promotes developmental programs that engage students. The national Health and Physical Education curriculum highlights the importance of mental health and wellbeing and its impact on educational outcomes for students. 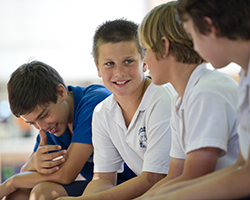 KidsMatter Primary and MindMatters support schools to deliver a whole of school approach by providing a framework that enables schools to navigate their way in the health and wellbeing space. Both frameworks provide quality professional learning for schools supported by Principals Australia Institute staff in each state and territory. To support wellbeing in your school please visit the KidsMatter and MindMatters websites. The Dare to Lead collegial snapshot process assists your school to get an independent picture of what’s happening with Aboriginal and Torres Strait Islander students. Our team of experienced principals can help your school develop a snapshot and plan for the future. More than 5000 schools are in the Dare to Lead network. ‘Premium Members’ receive exclusive access to professional learning webinars, professional learning tools and member discounts. Find out more about subscribing as a Dare to Lead Premium Member and strengthen your school’s Aboriginal and Torres Strait Islander focus. Communities in the Northern Territory have worked with Headspace and Indigenous Hip Hop Projects (IHHP) to create the ‘Got a lot going on’ music video. It encourages Aboriginal and Torres Strait Islander young people to talk about mental health and wellbeing. 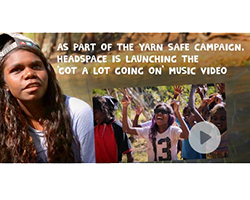 The video is written and performed by Aboriginal and Torres Strait Islander young people. Watch the 'Got a lot going on' video now. Are your students the innovators of the future? Do their ICT projects display innovative and unique approaches to a wide range of highly creative and functional concepts? Would they like the opportunity to showcase this innovation to the ICT industry? Nominate for the iAwards before 25 March. Dare to Lead’s Developing Quality Leaders 2-day interactive program is for those who take a lead role in their school’s Aboriginal and Torres Strait Islander education. For upcoming events in your region visit the KidsMatter and MindMatters websites. Through its Grassroots Membership Challenge, the Australian College of Educators (ACE) is hoping to diversify membership by encouraging new members from the wider education sector to help advocate for education and make a difference to the educational journey of all Australians. The challenge to ACE members is to discuss the benefits of membership and, potentially, grow the sector’s voice with public and government decision makers. teachers.on.net - Australia’s leading education jobsite - is seeking principals who are interested in contributing to the development of the education sector by completing a 25 minute online survey. The results will form the foundation of a database that is reflective of the distinctive competencies required of an Australian Educational Leader. The work will provide valuable insight into identifying areas for professional development, enhancing recruitment practices and identifying emerging leaders. 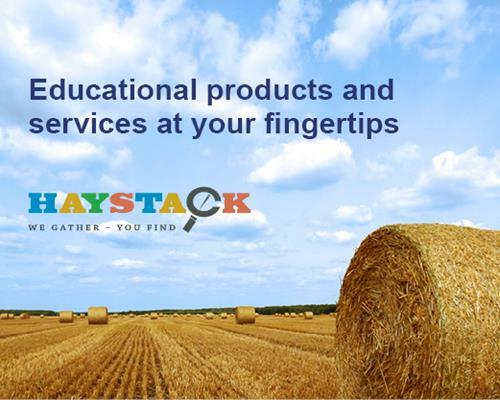 Haystack takes the guesswork out of finding products and services for schools. We have hundreds of businesses listed across an extensive and growing range of product categories for your school, professional and personal needs. Find what you're looking for today! School leaders’ small group study tour of Xi’an, in north-west China, led by Thomas Man, Australian-based Professor of Shaanxi Radio and TV University. The tour will include lectures and cultural visits with personal interpreters. Expressions of interest due by 3 March. For more information email Thomas Man. Have you registered or plan to register for the International Confederation of Principals 2015 World Convention in Helsinki? To advise of your registration and join a network of Australian principals prior to the convention, email Director, Australian Principal Certification, Louisa Rennie. School leaders with interests in rural education are invited to express their interest in joining a study tour of New Mexico. The tour will include rural education scholarship participants in the Origin Foundation / Principals Australia Institute / Flinders University Master of Education (Leadership & Management) Degree program. 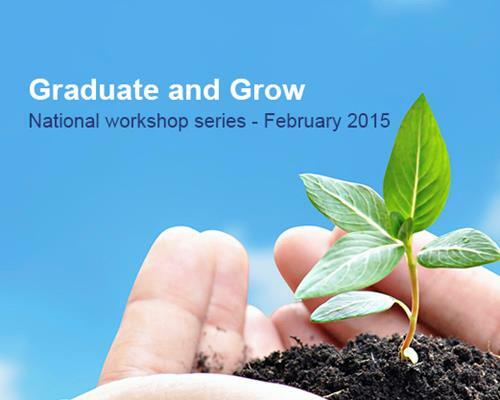 For more information email Professor John Halsey.